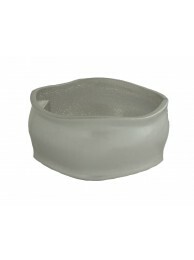 20 grams of elegance. 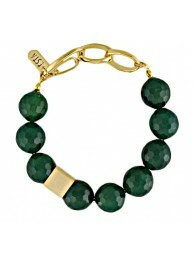 This bracelet features 3 Emeralds, each, linked to one another with Diamonds (..
Adorn your wrist with a natural look from ESTA. 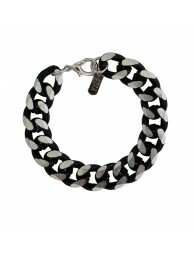 Embellished with 4 golden gems, embracing a pin..
Black & Silver never looked so good on a bracelet. 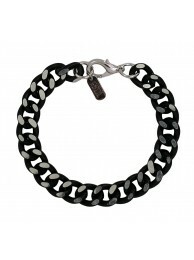 Drawing inspiration from the runaway and..
Black & Silver never looked so good on a bracelet. 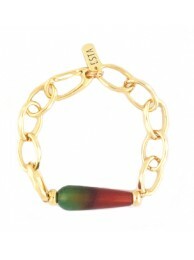 Drawing inspiration from the runaway and stre..
Modern and sophisticated, this fashionable bracelet features circular halos. 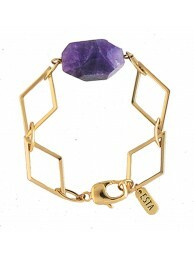 Each representing a per..
A cool golden chained bracelet to suit your everyday needs. 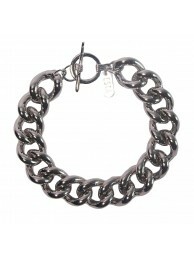 Stylish and easy to put on, this shiny o..
A cool silver chained bracelet to suit your everyday needs. 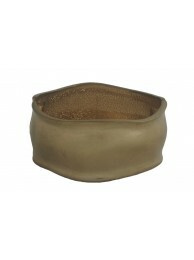 Stylish and easy to put on, this shiny o..
As if made of clay, this amazing bracelet with a wavy perimeter would perfectly match any outfit you.. 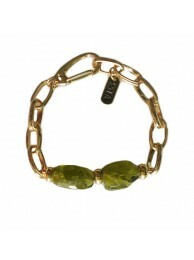 This exquisite Peridot bracelet, made of large golden chains, hold these charming gems into one perf..
20 grams of elegance. 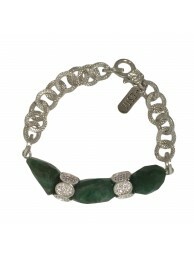 This bracelet features 3 Emeralds, each, linked to one another with sterling g..
Add a touch of nature-inspired beauty to your look with this tasteful bracelet. 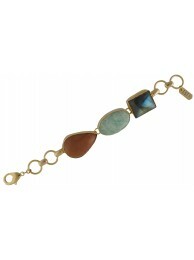 Embellished with mu..
Add a gorgeous, stylish glow to any outfit with this multi-stone bracelet. 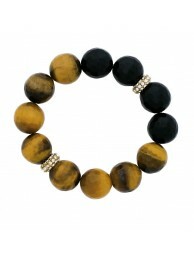 Tiger eye, onyx, carneli.. 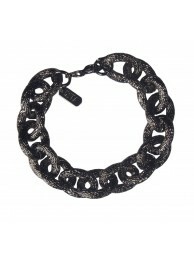 Designed to beautify the wrist, this elegant bracelet gives an antique allure, and a timeless loyalt..
A timeless treasure, seductive as it is bewitching, this intricately textured beauty will definitely..
ESTA, truly offers you exquisite jewelry that fits your lifestyle. 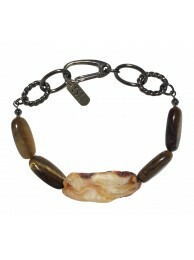 This beautiful bracelet, featuri..
Dare to dazzle your colleagues with this exquisite necklace. 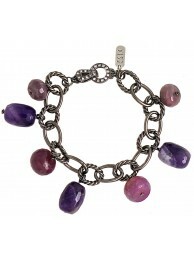 Perfectly shaped, these Carnelian gems..
3 remarkable purple Amethyst stones, to adorn your wrist, is whats missing to complete your outfit. .. 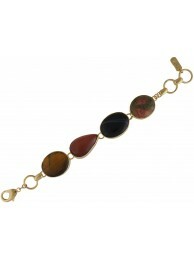 This stunning semi-precious stone called Carnelian, with the help of a Golden chain, embellishes you.. 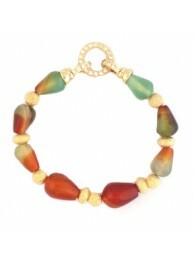 The beauty of the Carnelian gem, along with the cubic zirconia, make this a truly unique bracelet! 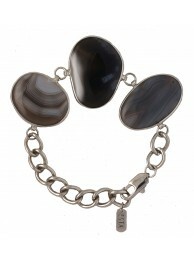 ..
A stunning bracelet from ESTA, made of smooth black Agate gems, is a timeless everyday piece! 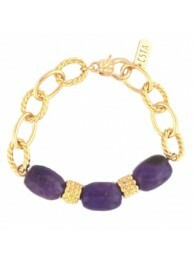 You be..
What better way to adorn your wrist than with an Amethyst bracelet? 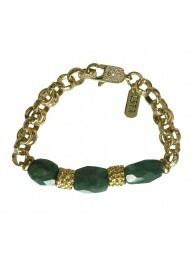 Embellished with Golden diamond-..
Add a touch of casual elegance to your jewelry collection, with ESTA's multi-toned purple brace..
Gorgeous shades of green, combined with our exquisite Aventurine, make this bracelet a beautifu.. 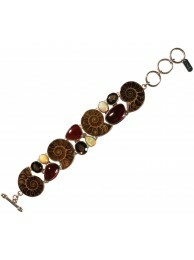 This bracelet gives you little tiny planets on your wrist, combining your beauty with the universe's.. 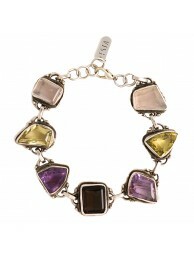 Exceptional in its simplicity, this multi-color silver bracelet is simply breathtaking. 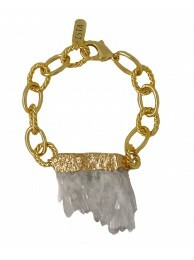 To go along ..
Look as glamorous as you feel when you opt for a crystal bracelet. 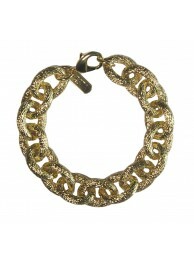 Strung with golden spheres,.. 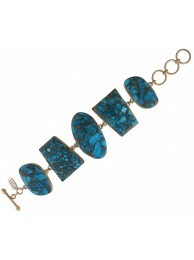 If you're searching for unique bracelets, you've come to the right place! 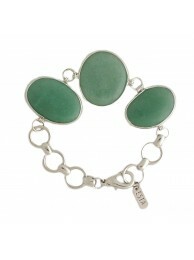 ESTA offers you..